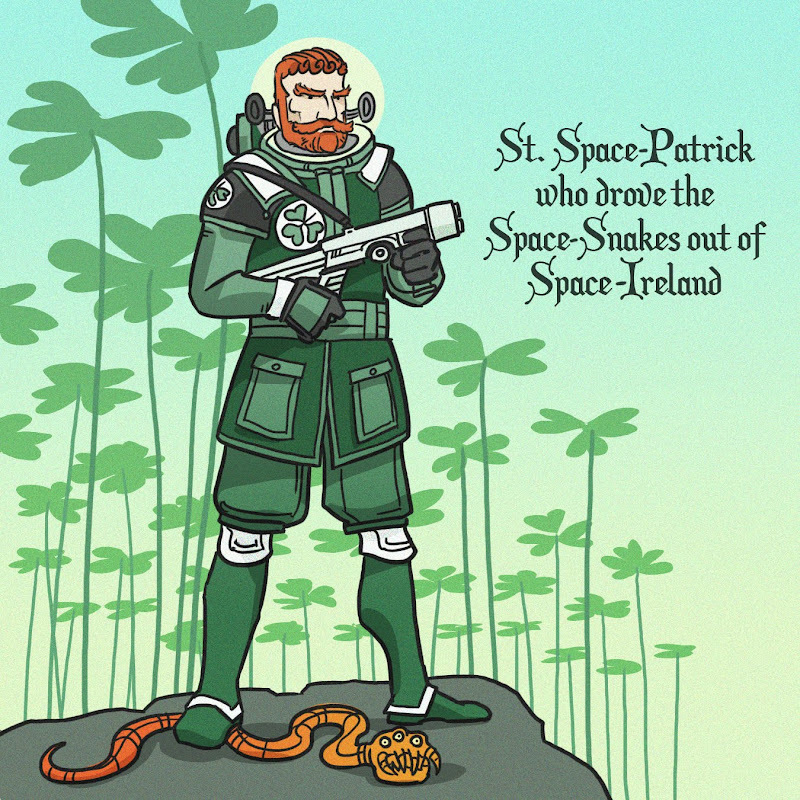 SPACE STATION NATHAN: Happy St. Patrick's Day! I thought everyone could use a break from the oppressive redness of The Waiting Swamp. Be back tomorrow though. Happy St. Patty's. First I loved the concept, but now my favorite part is the way his helmet doubles as a halo. Very fun! What galaxy is Space-Ireland in? Whatever it is, it's awesome. Good sir, you win all the things.